Through this blog series we want to share some interesting details about our work and also bring out inspiring stories of Change Makers from around the world. Meet Malina from Afghanistan whose powerful art highlights the times we live in! 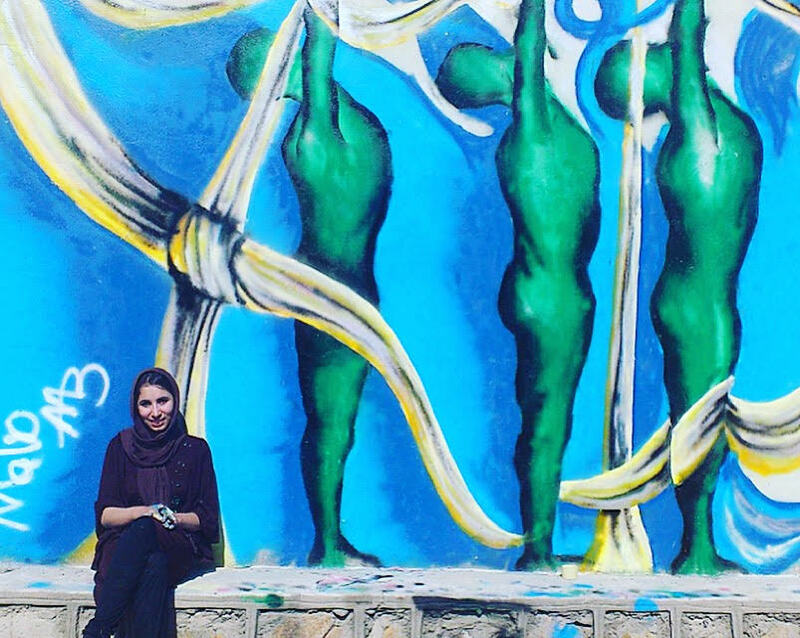 Meet Malina Suliman, an Afghan graffiti artist, metal worker and painter. Malina Suliman is one of the few artists from Afghanistan whose powerful artwork has potrayed the various layers of emotions of the world we live in today. 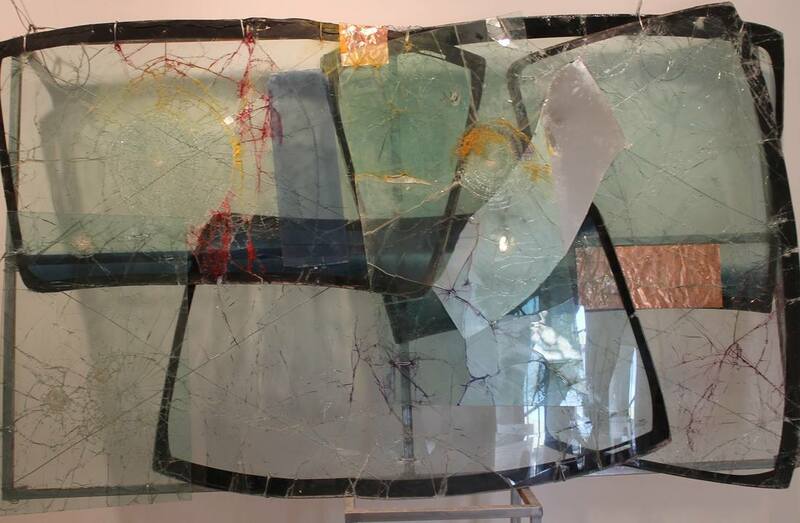 Our team member, Kalyani Rao interviewed Malina when she was studying art at Dutch institute of art at Netherlands. 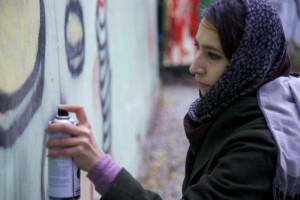 Malina comes from Kandahar which is one of the most war ravaged parts of Afghanistan.She started her career as a graffiti artist in Kandahar to showcase suppression and inequality of Afghan women. Malina is the founder of Kandahar Fine arts Association. 1.What inspired you to become an artist?Can you tell us how your journey of being an artist began? Malina:Being an artist or practising as an artist, its something that I have had a passion and interest in since childhood. Art is something that instinctively draws me rather than the other way round. Therefore, art for me is something that I can feel in myself since childhood. The content and the form of my art is determined by my social situation and general social and political environment in which I find my self in. 2. What are the most common mediums you use in your installations? Malina :At the moment my works involves various mediums and art forms such as: performance, conceptual, video art, voice records , installation and graffiti. it depends on situation and environment then I select what is fit to practice. 3. What kind of stories mostly inspire your work? Malina: Globalization is the greatest non-fiction that inspires me the most. More specifically, it is the global restructuring in terms of global economy, political organizations, disappearing social and humans right, and many related issues and themes that unfold right before our eyes. 4. What do you think of opportunities available for Afghan artists? Malina: I feel that for Afghan Artists the opportunities are very low or non-existent, especially for Afghan women. In some large cities there may be a gallery for the entire population. In many instances there are no gallaries or institution that can attract, encourage, sustain current and future artists. Therefore, the opportunities to show case your art work is virtually non-existent. So what we have today in Afghanistan are private foundations with meagre resources that are attempting to support Afghan Artist. Also many artist lack the funding and resources nor access to prestigious international organization or contemporary museums to develop concept and show case their talent. They say internet is a leveler, yet even here most artist are disadvantaged by the slowness and cost of access to internet. Finally access to mass media is impossible, most are interested in sensational news such as Taliban, war on terrorism etc. 5. Can you tell us about any of your favorite artwork? Malina: One of my new work that is called Living Art Piece its going on at Van Abbe museum, its a conceptual art work based on a contract and letter performance and videos. It’s about the museum capturing moments of the “Living Art” as a novel concept. Giving back value to the human and the value of living art piece is not determined by economics but a value system based on emotions, histories and relationships. Creating relation between the museum and communities, creating a space for dialogues between the museum and public. Kalyani Rao is heading NWS India and the lead editor on the blog. She is also a bestselling author. Through this blog series we want to share our journey and inspiring stories of change makers from around.